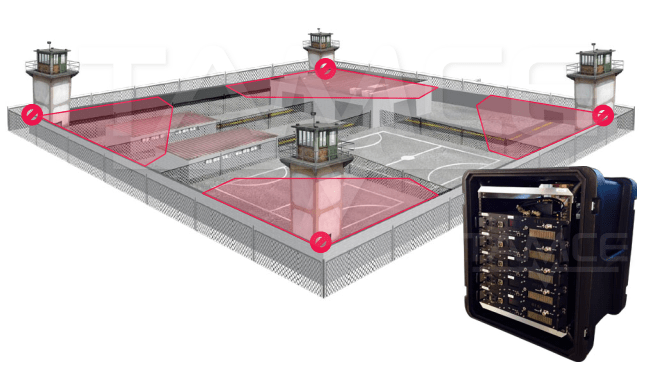 Another way for inmates to dodge prison eavesdropping is to gain their own phones. Prison authorities have found it’s surprisingly easy for prison inmates to get their hands on working cell phones (with chargers to boot). One tipoff came from an inmate’s mother who wrote to a warden in a Texas prison complaining that her son’s cell phone reception was bad. Cell phone accessibility has become a serious problem for prisons — in addition to the crimes that inmates are known to commit over the phone. Gangs can organize themselves far more easily when members in prison have cell phones. For example, in 2006, incarcerated gang leaders in Brazil orchestrated large, synchronized riots using their cell phones, reportedly in order to prove their influence even behind bars . The gang caused uprisings in more than 70 prisons, and meanwhile, members outside of the prison caused riots and wreaked havoc on public busses and police stations. Gangs transcend prison bars in the U.S., too, where gang leaders have been able to wield their power from inside prison walls — even ordering gang murders. So, how do inmates get their hands on cell phones? Apparently, visitors and corrupt prison guards have been known to furnish these phones to inmates. To help combat this phenomenon, several states have attempted to crack down by making the repercussions more serious. 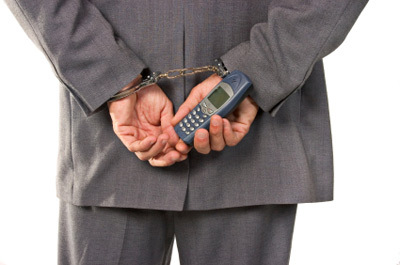 Courts have allowed punishments for those found with a cell phone on the basis that these conversations cannot be monitored and are thus a security threat . Several states have made it a crime for a prisoner to have a cell phone, and some are looking to raise that crime to the level of felony .